As I celebrate my 50th birthday, I am so grateful for the amazing opportunity I’ve been given to do what I love and serve along side so many amazing and dedicated people as I partner with you to tell your stories! 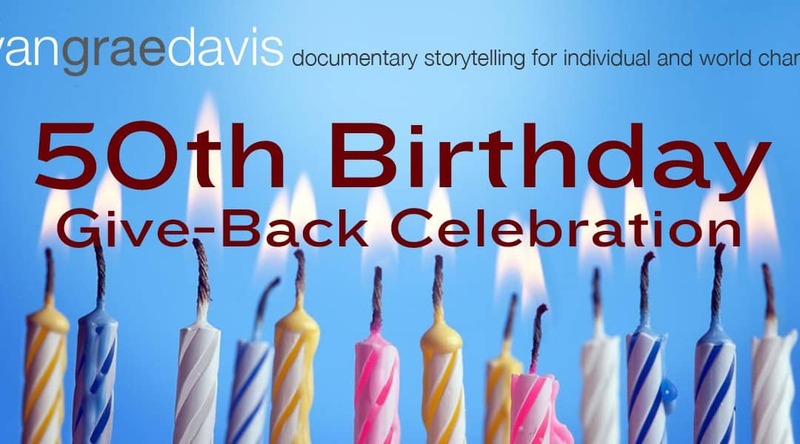 I’m giving away a promotional video campaign in celebration of my 50th year on this planet and all of the amazing people that dedicate their time and talents helping others ($2000- $3000 value). This package will consist of a long promotional (5 minutes), a short version (2 minutes) and two social media segments (1 minute or less each). I will select the charity from those who apply or are nominated by friends. To apply or nominate your favorite charity, go here. Although the campaign will be provided at no cost to the charity, it is far from free. If you feel so inclined, you may contribute to the costs of creating this promotional campaign for the soon-to-be selected Tucson charity as your birthday gift to me. To support this give-back campaign, click here.